One by one, chain restaurants have pledged to cut the use of antibiotics, switch to cage-free eggs, and adopt other sustainability policies. Now, KFC is turning its attention to another environmental issue -- plastic. The company has pledged that by 2025, all plastic-based, consumer-facing packaging will be recoverable or reusable. KFC says it’s part of its long-term plan to implement a more sustainable packaging strategy in its restaurants. Single-use plastic has become a major environmental problem because it usually ends up in the ocean, where it threatens marine life and even becomes part of the human food chain. Fast food restaurants, in particular, are major consumers of single-use plastic with their use of drink containers, utensils, and food packaging. Because of their massive, worldwide scale, fast-food restaurants are a major contributor to plastic pollution. But that huge scale also holds the potential for reducing the problem when these companies adopt ways to limit the use of single-use plastic in their operations. 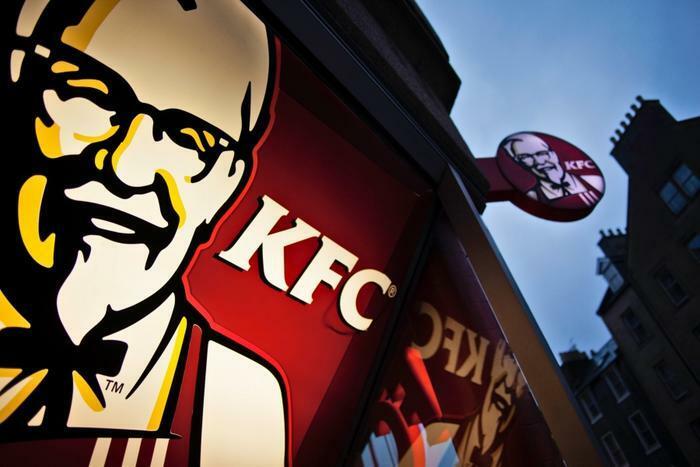 "As a global brand that operates more than 22,000 restaurants in over 135 countries, KFC is in a position to have a real impact on how the industry approaches waste and packaging management overall," said Tony Lowings, KFC’s CEO. "With environmental sustainability as a core aspect of how we do business, this commitment represents a public acknowledgment of the obligation we have to address these serious issues." A growing number of restaurant chains have stuck a toe in the plastic sustainability waters by pledging to eliminate plastic straws, a relatively small part of the problem. In many cases, local governments have forced the issue by requiring restaurants within their boundaries to switch to paper straws, which are readily available but more expensive. McDonald’s is currently testing paper straws at some of its stores and Starbucks has pledged to make the switch by next year. Pepsico, the parent company of Pepsi, recently promised to make greater use of recycled plastic in its packaging. To meet its newly-set goals KFC said it is working with major suppliers and franchisees to identify alternatives to plastic that make sense. In addition to plastic straws, it will try to reduce the use of plastic in bags, utensils, and drink lids. Plastic pollution is not just unsightly, it can have serious health consequences. Scientists have long known that materials used to make plastic, some of them toxic, can “leak” into the environment, even if the plastic itself doesn’t biodegrade. Researchers estimate that about 20 percent of the plastic in the ocean comes from ships and platforms that are offshore. The rest gets blown into the ocean, washed out by tides, or comes from intentional garbage dumping.